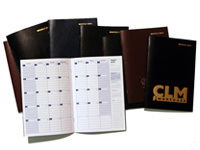 Weekly Economy or Leatherette Planners. Size: 7" x 10" or 8 1⁄2" x 11"
• Economy or leatherette material covers. 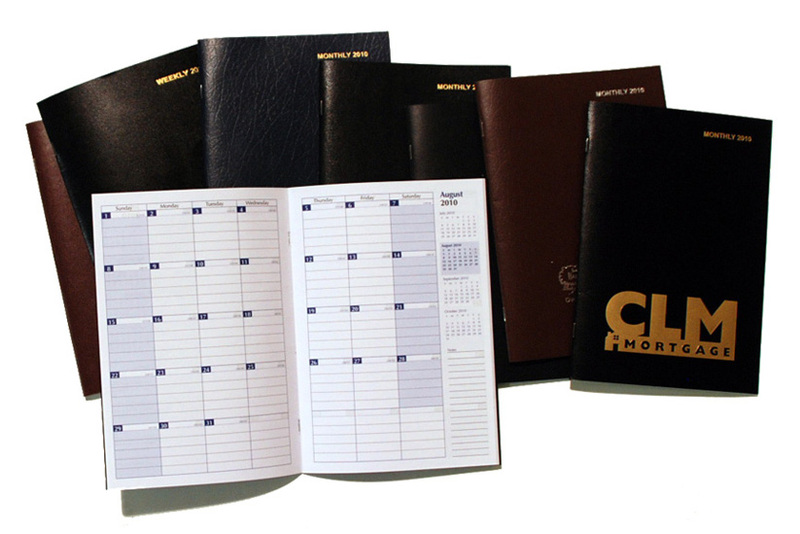 • Choice of monthly or weekly calendar saddle stitched in the planner. 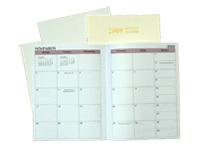 • There is room for you to write down your important dates, numbers, and addresses. • Prices will vary according to the materials. 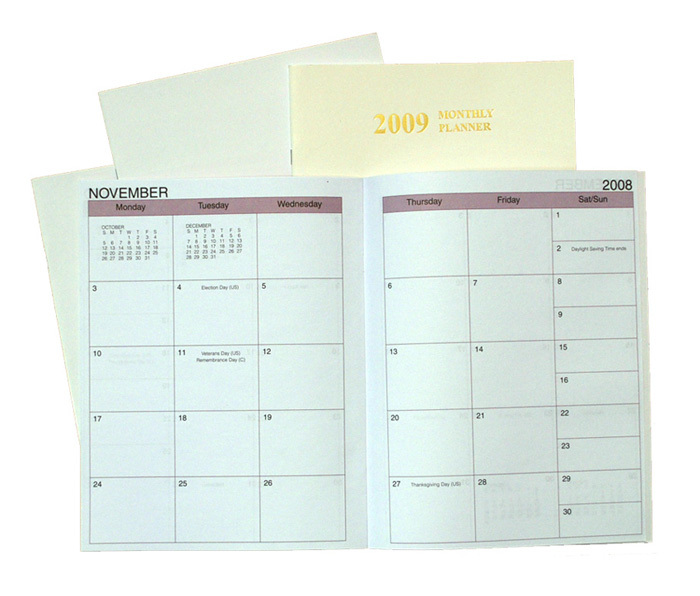 • Economy Monthly or Weekly Planners can be printed in full color. 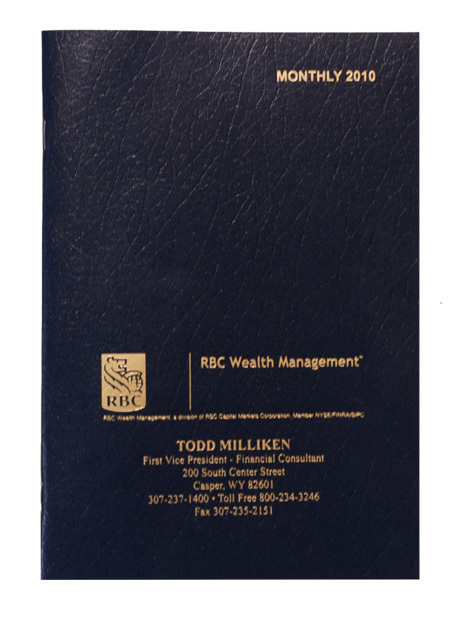 • Have your company logos, school crests or special fonts imprinted on the front of the covers. • For customized options/pricing on this product, please call us at 1-800-310-2723. 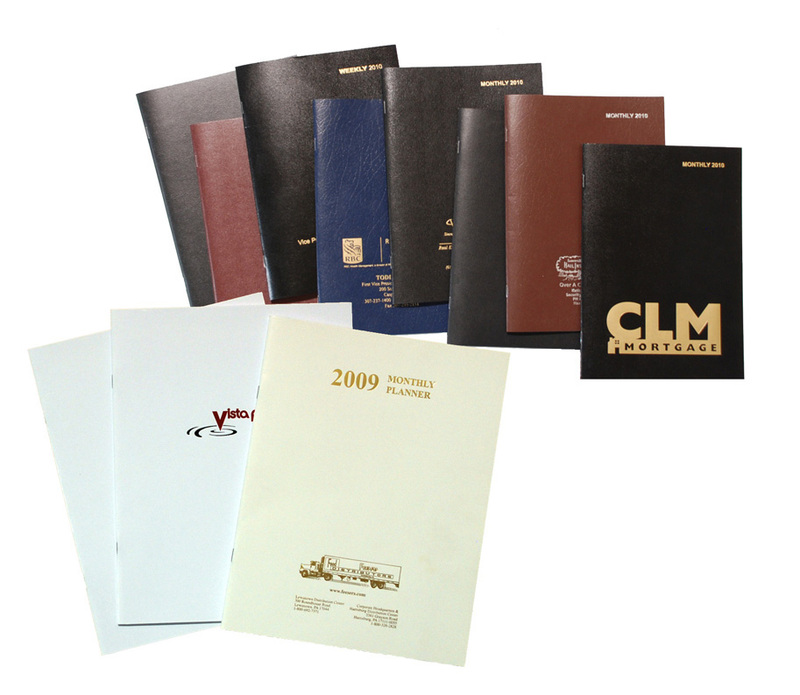 To to place an order for Monthly/Weekly Economy/Leatherette Planners, call us toll-free at 1-800-310-2723 today.